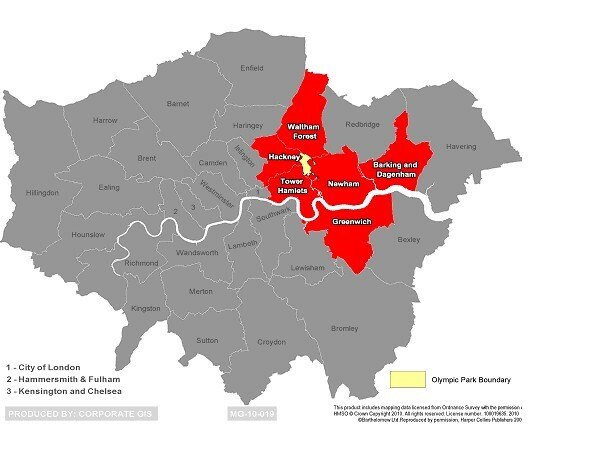 The Growth Boroughs – Barking and Dagenham, Greenwich, Hackney, Newham, Tower Hamlets and Waltham Forest – synonymous with the successful 2012 Olympic Games, make up the UK’s strongest potential growth area, providing the launch-pad for Britain to move out of economic depression. Having delivered the Games, we have now moved on to delivering what the Games was really about – a lasting legacy of renewal for what has traditionally been London’s and the UK’s poorest area and a major boost for UK plc. The six Growth Boroughs hold 18% of London’s population, 62% of its areas with the highest levels of deprivation and its major growth potential . “to develop and implement a viable and sustainable legacy...of fundamental economic, social and environmental change within East London and to close the gap between (these) boroughs and the rest of London. This will be London’s most important regeneration project for the next 25 years”. Nor do we have a shortage of ambition. Over the coming years we will deliver Convergence across a range of fields to close this gap. A major study by Oxford Economics has shown that by doing so we will increase our contribution to the UK economy by £6-7bn each year. This will make us one of the most significant growth points in the UK economy, helping to move the country out of recession. This website takes the story further; it describes this uniquely dynamic and changing part of London where the potential for economic growth is forecast to be the most significant in London offering the promise of significant social and economic improvement for the 1.5m people who live here. The partnerships we have developed and the methodologies we have designed to create a legacy for our people through linkages between social improvement and economic growth stand as a replicable template for any community which, challenged by a major event or development, seeks to use it for genuine community benefit. Whether its a future Olympic Games or World Cup, the construction of a mega industrial or commercial undertaking or the development of a new town or city, the same principles can be made to apply. We are happy to share our experience with any community who finds itself with similar opportunities to those we have been privileged to enjoy.